Happy Thursday! 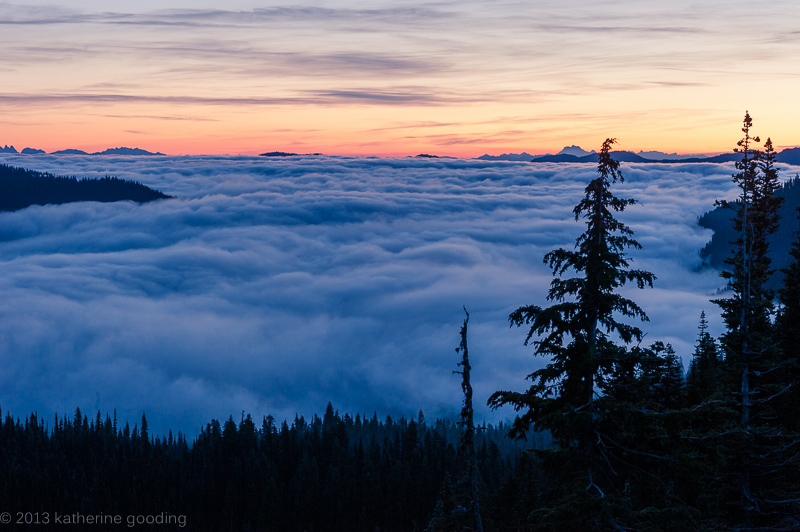 Sunrise above the clouds at Sunrise Point in Mt. Rainier National Park. A while back I went on a nighttime road trip to chase the Perseid Meteor Shower. Allegedly it was the peak night for bits of rock to crash through the atmosphere, but I didn’t really capture it. Even after driving through Ellensburg, Yakima Canyon, and Cayuse Pass there were not many streaks of light on my sensor. But then the sun started to rise and I could see the clouds below the mountain, I knew that I had to stay.